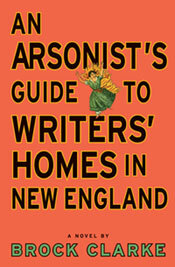 There are some books that I pick up just on the strengths of their titles, and today it happened with Brock Clarke's brilliantly titled An Arsonist's Guide to Writers' Homes in New England. I picked it up because Willett showed up on that New York magazine list of The Best Writers You've Never Read, which was dead-on in this case. 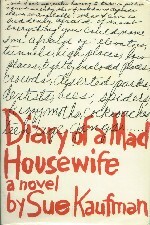 The back cover had blurbs from the likes of David Sedaris, Tom Perrotta, and Augusten Burroughs ("the funniest novel I have read...ever"). The phrase "laughing out loud" has been seriously devalued in our LOL world, but twice in the first 20 pages I had to stick my finger between the pages to keep from losing my place as I shook from laughter. What's it about? Well -- middle-aged twins. Abigail is the town pump and accused murderess whose story has just been told in a cheapjack true-crime book; Dorcas is her mordant sister, the town librarian who is leafing through the book while awaiting Hurricane Pandora. That's it. And it's hilarious. I half-love Jincy Willett, and I'm quite sure the sentiment is not reciprocated, which makes me love her even more. "Pan-fried." "Serving suggestion." "First invented by." What phrase enrages you most? "How are you spelling that?" perhaps, or, "issues around"? When the question came up in the Letters page of The Daily Telegraph, hundreds of readers nominated the ones they loathed, and thousands more were posted on line. Provoked beyond endurance, Christopher Howse and Richard Preston compiled The Infuriating Phrasebook, drawing on written and spoken insults to the intelligence from television, radio and the press. During this recent breakfast at one of my favorite not-so-crowded cafes, Natalie's happy noises were well within the accepted range of restaurant din. Nevertheless, a few minutes after being seated at the booth behind us, a middle-aged foursome apparently took offense to the baby noises and asked the waiter to be seated across the restaurant....Again, I suppose I'm spoiled by experiences with fellow booth occupants who would normally smile and coo at my noisome infant. Pan-fried - instead of being fried in an old dustbin-lid. Serving suggestion - On the label of a prepared meal, a warning that the plate, tablecloth, and accompanying boar's head shown in the picture are not included in the small plastic container. First invented by - The second inventor is deservedly less well known. My personal opinion is that it should be one of the most unique books of the year, and the buzz around it in the UK should be noisome. 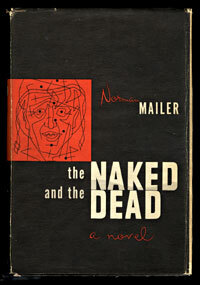 Hat tips: For the book, Bill Eichenberger of the Columbus Dispatch; for "noisome," Retread Ranger. Penguin Books has forced Portland publisher Tin House to change the name of a 784-page art book based on Thomas Pynchon's novel Gravity's Rainbow. The book's title has been changed from Gravity's Rainbow Illustrated to Pictures Showing What Happened on Each Page of Thomas Pynchon's Novel Gravity's Rainbow. Those better be some pretty big stickers. - Who's Afraid of Virginia Woolf? - Why I Live at the P.O. 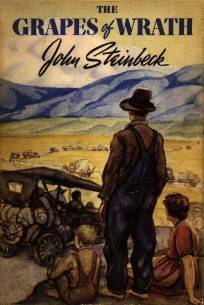 What makes a great title? Something memorable, catchy, profound, lurid, or just perfect for the project? For me, it's something that makes me want to pick up the book, the CD, or go see the play. - Eternal Curse on the Reader of These Pages! - Faster, Pussycat! Kill! Kill!